Customer satisfaction is an essential element which helps any business owner in operating his/her business efficiently. 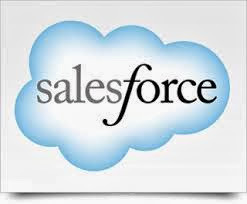 To make sure that businesses have a cordial relationship with their customers, co-founder of Salesforce.com, Mark Benioff came up with the idea of Salesforce CRM. Salesforce CRM is a web based customer relationship management software used to manage the information and communications of a company's clients, belonging to different departments. It is an open-source software which makes a company's interaction with its clients much more effective. More and more companies are adopting this technology to keep the momentum of their business growth by satisfying and resolving the queries of their clients. Salesforce CRM is the perfect cloud based solution for organizations which rely on a CRM software to communicate with departments and conduct campaigns with customers worldwide. This tool has an amazing feature which allows a business owner to send bulk emails to his/her clients. Salesforce CRM offers a service cloud and a sales cloud. The sales cloud offers salient features like communication with customers, automatic email reminders, tracking milestones and a communication tool, Chatter, while the service cloud includes social media option, tracking inquiries, chatting tool and the key to complex documents of customers. Integrating Salesforce CRM is a difficult job and the success of this software depends on how well it has been integrated. So, it becomes an essentiality to hire professional Salesforce CRM development services provider. The market has CRM development company in abundance. Find the right partner and get going.